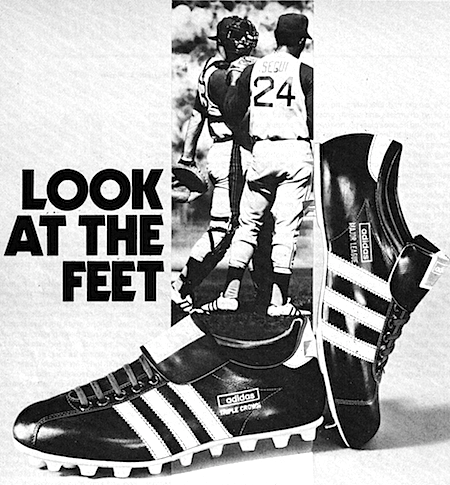 Baseball shoes that have action built into every pair. 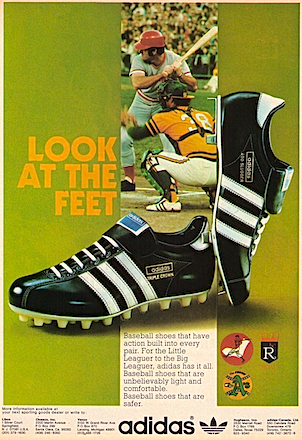 For the Little Leaguer to the Big Leaguer, adidas has it all. 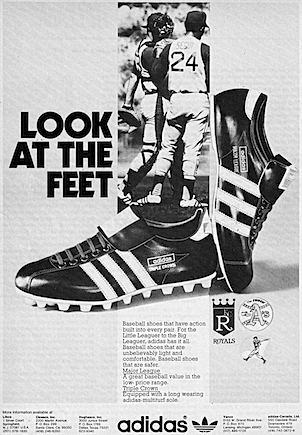 Baseball shoes that are unbelievably light and comfortable. 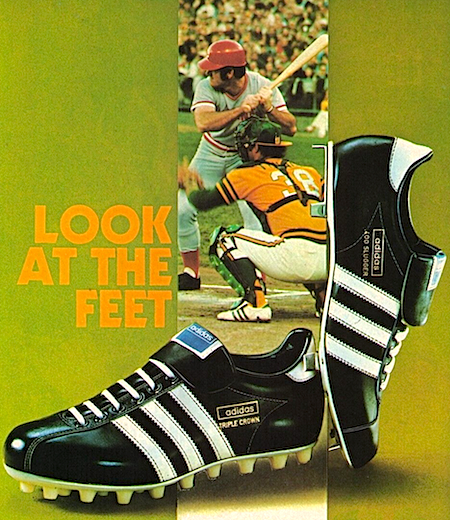 Baseball shoes that are safer. Equipped with a long wearing adidas-multiturf sole.  adidas M.V.P. 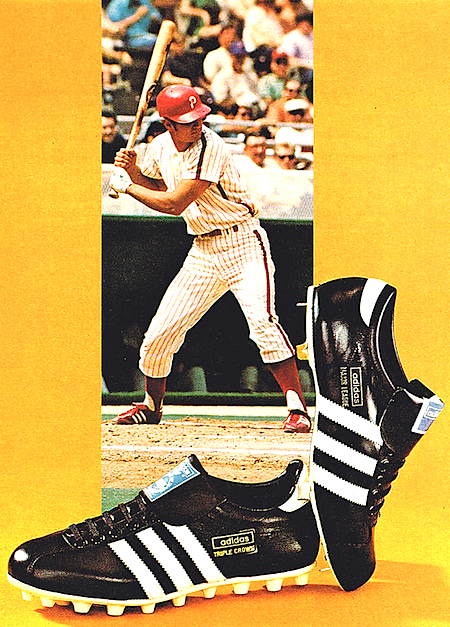 baseball shoes "Traction In Action"
adidas Star Streak / Superlight football shoes "LOOK AT THE FEET …"